Revel in old-world flavor with our Easy Penne Pasta Salad. 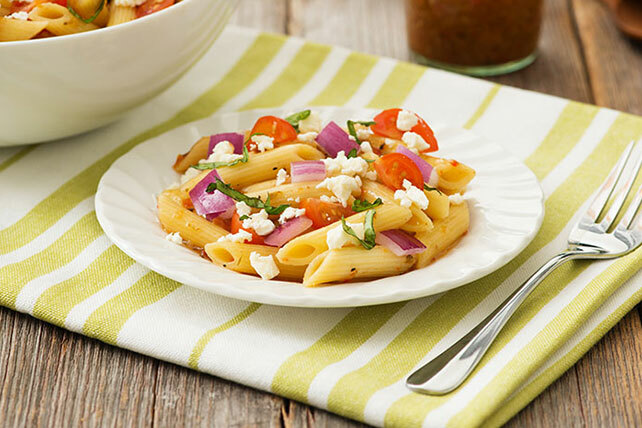 Feta, sun-dried tomato dressing and fresh tomatoes bring our Easy Penne Pasta Salad to life. Prepare as directed, omitting the basil and using ATHENOS Crumbled Feta Cheese with Basil & Tomato.